I will soon be 25% more mysterious than I am now. 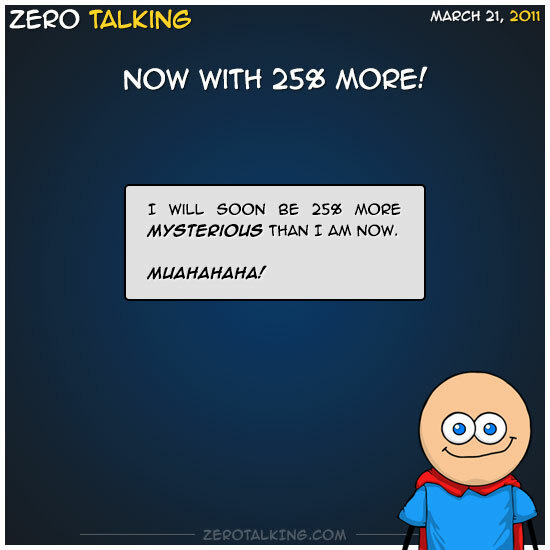 I say 25% more mysterious means only 75% as “revealing” -> 100%/75%=133% or 33% more interesting. Your math just locked up my brain! Can you reduce that to Zero’s and One’s so I can understand? AWESOME!!!!!! He used REAL binary. Andrew today, YOU are the MAN!